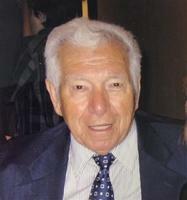 Provide comfort for the family of Aristomanis Panagakos with a meaningful gesture of sympathy. Aristomanis P. Panagakos, 85 of Canton, beloved husband to Elizabeth (Daly) Panagakos, passed away peacefully at home with his loving family by his side on Friday January 25th, 2019 Born in Anogeia, Sparta Greece, son of the late Panagiotis and Stavroula (Vilanea) Panagakos, he came to the United States in 1955 and lived in Brooklyn, New York after leaving Greece at the young age of seventeen and enjoying travels to South America. Upon arriving to Albany, New York he slipped away from his ship duties to find adventure in New York City. Manny and his brother Louis bought the Tech Restaurant in Brooklyn New York in 1960. He then reunited with his brother at the Lincoln Restaurant in 1969, until he and his family moved to Connecticut in 1977. He then began a career at the prestigious “Country Club of Farmington”. Manny enjoyed many years of success as the executive chef, before changing paths and being appointed as the executive chef of Hop Meadow Country Club in Simsbury. He then reunited with his brother at the Avon Old Farms Inn, where he would finish his career working side by side with his brother, Louis. Manny was a great mentor and was quick to share a laugh and joke around. To know Manny, was to expect him to be demanding and caring at the same time. He loved to travel and spend time with his wife Betty. However, his greatest treasures were his grandchildren with whom he spent a lot of time with, Andrew and Alexandra Coates. Besides his wife Elizabeth he leaves his daughter Stacy Panagakos Coates and her husband Michael Coates, son Peter J Panagakos and his fiancée Shannon Allred. Also sons Peter, Bobby, Manny & Tony; and daughter Stacee Anne with her children and grandchildren and many nieces and nephews. Besides his parents he was predeceased by brothers Louis and Dimitri Panagako and sisters Triandafili Mougiakakos and Panagiota Panagakos. Calling hours will be at the Vincent Funeral Home, 120 Albany Turnpike in Canton on Wednesday, January 30th from 4:00 pm to 6:30 pm, with a Trisagion prayer service at 4:45 pm. On Thursday, January 31st, a service will be held at 10:30 am at St George Greek Orthodox Church, 433 Fairfield Avenue in Hartford. Burial will follow in Dyer Cemetery in Canton. In lieu of flowers contributions may be made to the Shriners Hospital for Children. The family would like to thank McLean Hospice Care and all friends and relatives for their love & support. Please visit Manny’s “Book of Memories” at www.vincentfuneralhome.com for online tributes. We encourage you to share your most beloved memories of Aristomanis here, so that the family and other loved ones can always see it. You can upload cherished photographs, or share your favorite stories, and can even comment on those shared by others. Hartford Police Department Crime Scene Division sent flowers to the family of Aristomanis "Manny" Panagakos. Our thoughts and prayers are with you all at this sad time. Elizabeth, Raymond, Stacey, Lauren and Blair. 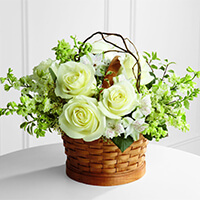 Hartford Police Department Crime Scene Division purchased the The FTD Peaceful Garden Basket for the family of Aristomanis Panagakos.